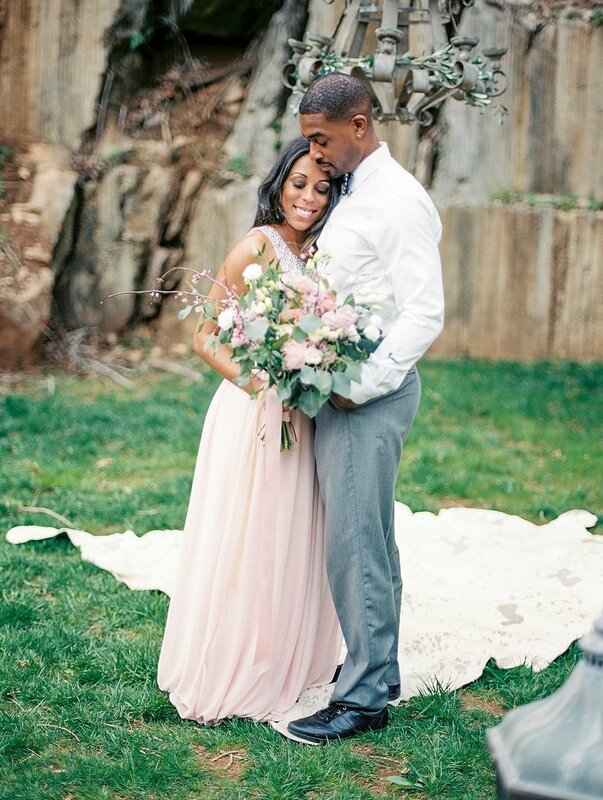 We welcomed spring with this styled couple's shoot at The Quarry nestled in west Knoxville. Our model, Denise, embraced one of the hottest trends this season with her two piece gown-- a sequined silver crop top paired with a flowing blush skirt. Alexander kept it simple with a white button up and always classic gray slacks, and his bow tie only added to his dapper appearance. The Quarry is a venue that boasts both indoor and outdoor spaces, but it is The Canyon that makes this venue an ideal location for outdoor events. 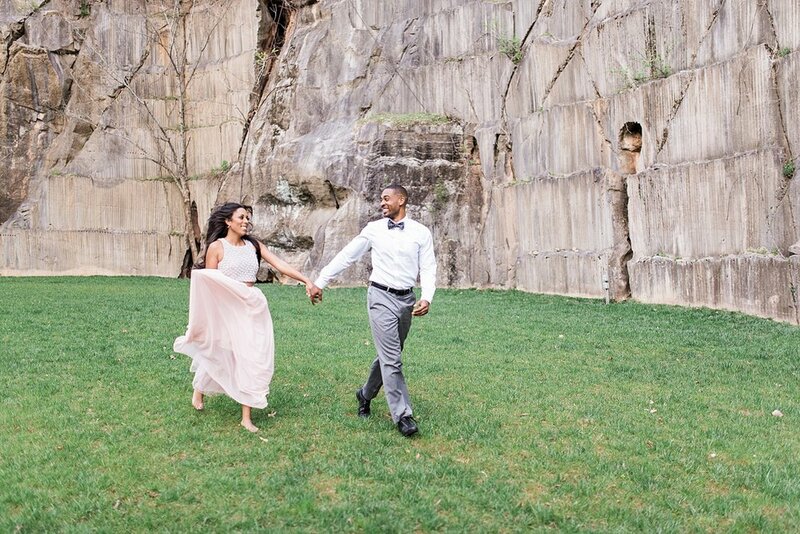 Our couple stood amidst the towering marbled quarry walls, and strolled along the perfectly centered stone path towards the grand 25 foot waterfall also on the property. The bouquet and boutonnière by Melissa Timm incorporated shades of pink, cream, and the always quintessential spring color, lavender. We love the free flowing nature of the florals that paired flawlessly with the moss, stones, and lanterns used as decor for the ceremony site. The quaint ceremony site for this shoot was made up of dark benches adorned with white furs, and the ornate chandelier surrounded by draped fabric hung above a natural rug where the couple could share a memorable first kiss as husband and wife. The couple also braved a trek to an overlook on the property in order for us to capture some some breathtaking moments of love among the blooming red buds. This spring inspiration from The Quarry is the perfect way to embrace the sunshine, warmer weather, and new beginnings.